Bronze chairs celebrate Magna Carta Jump to media player An installation of bronze chairs is being unveiled to mark the 800th anniversary of the sealing of Magna Carta. 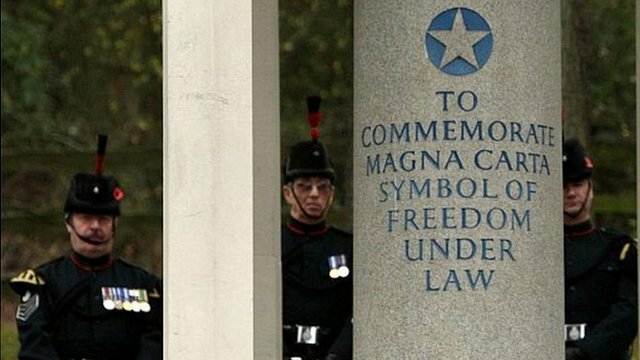 What exactly is Magna Carta? Jump to media player Why Magna Carta is considered one of the most famous documents in history 800 years after it was sealed. Celebrating Magna Carta in music Jump to media player The BBC has had exclusive access to rehearsals at Salisbury Cathedral for Letter of Rights, a specially commissioned piece to celebrate Magna Carta. Magna Carta events under way in area Jump to media player A series of events to mark the 800th anniversary of the Magna Carta has been launched in Worcestershire. Magna Carta 800 marked in Canterbury Jump to media player A replica of Magna Carta has been carried through the streets of Canterbury as part of events to mark the 800th anniversary. Magna Carta in Bury St Edmunds Jump to media player A copy of the Magna Carta has arrived in Bury St Edmunds, where it will be on display in May. The importance of the Magna Carta Jump to media player A ceremony has taken place marking the start of celebrations leading up to the 800th anniversary of the signing of the Magna Carta. The national commemoration event to mark the 800th anniversary of the sealing of Magna Carta will take at Runnymede Meadows on Monday. As part of the celebrations, a major new installation of bronze chairs will be unveiled in the meadows. 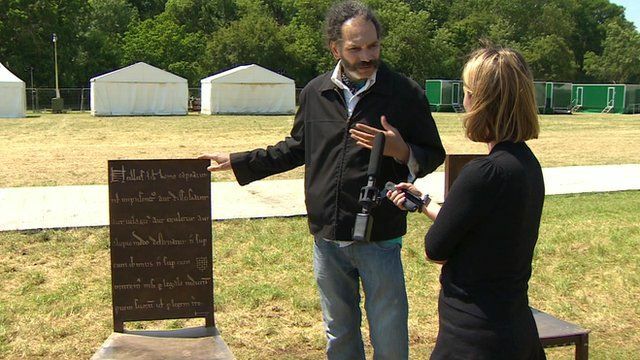 The BBC's Sarah Campbell spoke to Hew Locke, a sculptor who created the art work. Go to next video: What exactly is Magna Carta?